We print junkies divide books into different categories. There are the books you commit to out of respect for the author or because you don’t want to wuss out before you see what happens (Wuthering Heights and any Tom Clancy Novel). There’s good fast-food reading that you can joyfully wolf down in a day (On The Road). Then, there is that rare book that you force yourself to ration because you want to savor it, and prolong the journey. It’s that good. 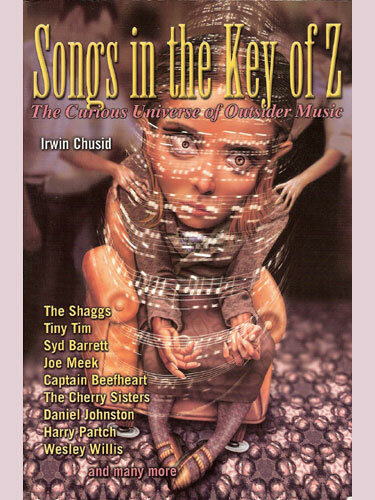 Irwin Chusid’s “Songs In The Key Of Z” falls into the last category. “Songs In The Key Of Z” is a page turner about Outsider Music and the bizarre, wonderful, and fascinating characters who are its practitioners. 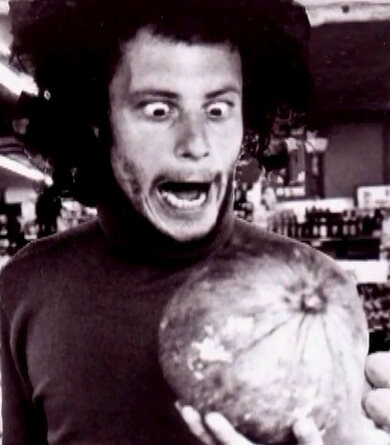 The term Outsider Music is relatively new and Mr. Chusid is credited for coining it. Mr. Chusid has hosted a radio show for WFMU in Hoboken, New Jersey since 1975. It is on this show he curates the music that he loves. However, the genre itself has been around for some time. The definition of Outsider Music (per say) is amorphous and still evolving. But in brief, it is music that falls outside the mainstream of musical taste, performed and/or conceived by musical artists who exist apart from the pack mentality of polite, conformist society. These artists can include the mentally ill, the criminally insane and others who are impelled to create musical sound informed by any combination of innocence, incompetence and/or genius. Outside Music artists also share a heroic confidence or self-delusion that allows them to carry on despite normal society’s discouragement. Commercial Pop Music as practiced by Elton John, Styx, Celine Dion, Kenny G……etc, is externally focused. It may or may not be calculated or jaded. But, it is written, recorded and intended for a target market and is commerce driven. Outsider music is the antithesis of all the above. Irwin Chusid is a knowledgeable musicologist whose narratives and observations are laced with humor without condescension. Because, humor is a basic tenet of Outsider Music. Not in the wacky Dr. Demento sense. But, a kind of self-deprecating humor that only the thick-skinned Outsider artists possess. Accustomed to ridicule and guffaws, Outsider artists are heroic in their persistence and are more purpose driven than the normal wanna-be rocker. Many musicians give up the battle for a wife and a day job. Most Outsider artists are bereft of those options. That’s the X factor that allows this bizarre, ignored subculture to defy prevailing trends and survive against seemingly insurmountable odds. They create because they must, not because they lust. Mr. Chusid plays it smart and never buries the lead in his profiles. It’s the artist and back story in Outsider Music that is crucial to the appreciation of the music itself. And, it’s on the humanity that Mr. Chusid aims the spotlight. Sadly, there is the aspect of the car-wreck mentality that reveal some Outsider Music enthusiasts to be voyeurs of human misery rather than connoisseurs of art. But, Mr. Chusid acknowledges that, and never heaps false praise on his subjects. The Outsider Artists come in all shapes, sizes and genres. 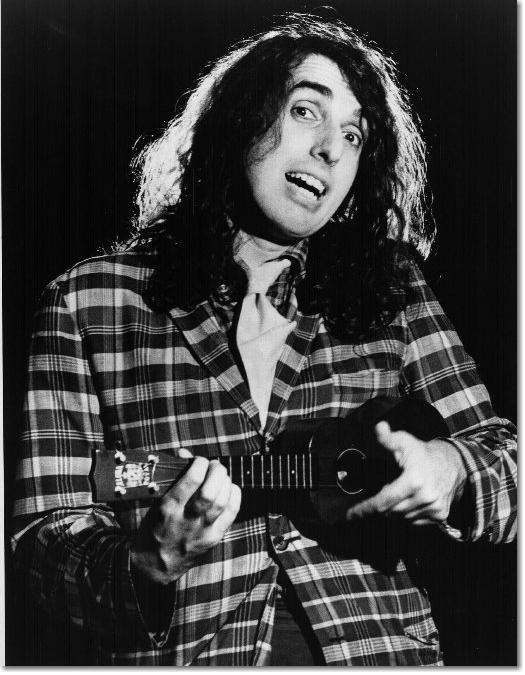 They sometimes are plucked from obscurity and absorbed into the mainstream, only to be expelled from the tribe once again (Tiny Tim). Or they can be wandering savants who are enabled by admiring patrons and well meaning benefactors who unwittingly poison their innocence with the fools-gold of minor celebrity (Wild Man Fischer). Some are relatively well-adjusted refugees from musical academia, hell-bent on changing the world (Harry Partch). However, there are no archetypes in Outsider Music. No two artists are the same. They are as different and impermanent as falling snowflakes. Irwin Chusid knocked it out of the park with this one. And, the only criticisms I can muster is the book’s relative brevity and Irwin Chusid’s decision to never write another.